"#Paranormal #Romance Perfection" 5* #Book #Review! "Deliciously Haunting"
The tweet's caption read "yes, 6 stars" ~ woot! 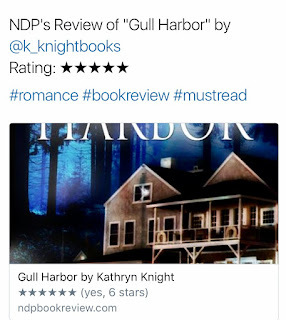 A review of my reunion romance + ghost mystery Gull Harbor is up at Nom de Plume Reviews, and it's going down as one of my favorite reviews of all time! The first I saw of it was on Twitter, and the tweet caption called it a "6 Star" read...my heart soared as I scrambled to click the link. I do a happy dance any time I hear someone enjoyed one of my stories, because that's why I write. Not for myself, but to hopefully give a reader the hours of pleasure and entertainment that I feel when I find a book that really grabs my attention and never lets go. My goal is always to put readers into the story and connect them with the characters so deeply they feel the emotions: the pull of chemistry, the roller coaster of falling in love, the fear of danger, the pain of betrayal, the adrenaline of suspense, the heat of a kiss. "This electric current in my body is unbearable! Kathryn Knight has this way of manifesting spider-chills up my arms! I can't help but let these emotions engulf me." Max and I are on Claire are on." "Here I am living vicariously through Claire; I was bitter toward Max and now I am vulnerable." 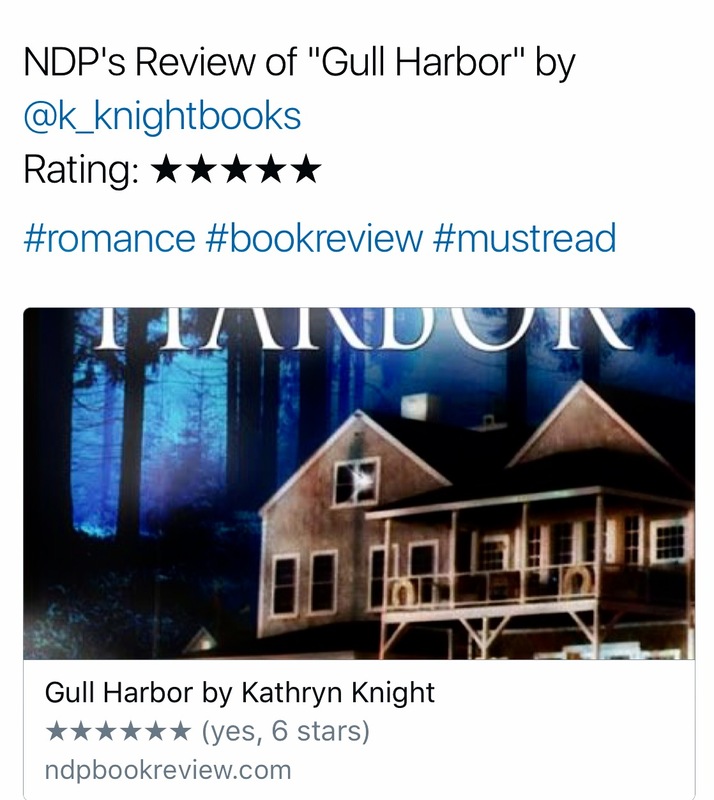 Check out the review in its entirety here: Nom de Plume Book Reviews - Gull Harbor, and if you enjoy steamy romance mixed with some spooky suspense, give Gull Harbor a try! And if you'd like to see more of Claire and Max, download Haunted Souls as well...these characters make an appearance in Haunted Souls, and the hero and heroine of this story, Brett and Emily, have an equally intense journey to their Happily Ever After. Happy Reading! Are You Getting Desired Results?